Near the Astor Place and Broadway/Lafayette 6 train stops and the 2nd Avenue F stop. Double Zero is a plant-based pizza concept from Matthew Kenney in New York City’s East Village. 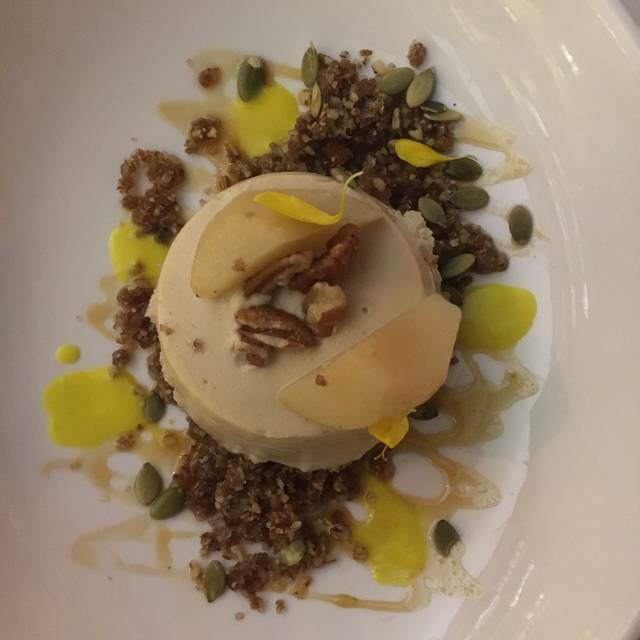 Serving small plates, organic pizza prepared in a wood burning oven, vegan ice cream and organic wines, Double Zero showcases Matthew Kenney’s delicious, beautiful, vibrant, and nutritious cuisine in one of New York’s favorite neighborhoods. Amazing vegan pizza. The gluten-free crust was the best I’ve ever had! Price was expensive for a pizza, but it’s a great “once in a while” restaurant. Good food, but pizzas seemed high priced compared to other options we’ve found. Staff was very friendly but food took nearly 30 minutes to arrive. Always love the food, the pizza is amazing. Even though the restaurant was packed and they warned us the kitchen was backed up even with the warning it still wasn’t as long of a wait as we were expecting. The wait staff is very attentive and kind and handled the large amount of people and full space extremely well. So yummy! 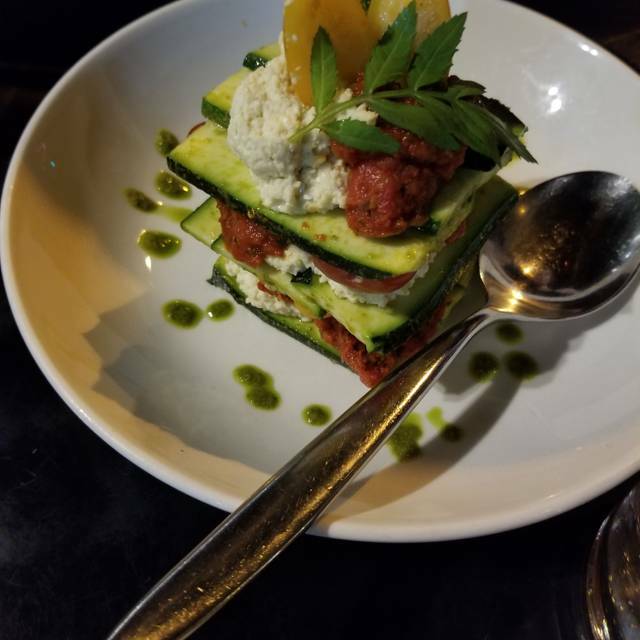 We took my non vegan parents and they are total pains about vegan dining but they enjoyed it. We will definitely be back many times! The food was really good and different from what I've had elsewhere. It wasn't cheap, though. I thought the dishes were all overpriced and too expensive for the portion size. The gluten free pizza was good: the crust was crunchy but not flaky, but there's an extra charge for an already overpriced item (+$4 or more? for GF crust). We enjoyed sharing a delicious and creative pizza along with great inventive fusilli pesto- Lovely wine list. We had a really good experience! Thank you for your wonderful review, we put a lot of heart and time into our wine selection. We are glad to hear that you enjoy it as much as we do! Pizza was very good, toppings were interesting and creative. Extensive wine list. Great crust from the wood fired oven! Felt the price was a bit steep for the size of pizza offered. Great restaurant. My boyfriend didn’t even know it was vegan. Best pizza, vegan or otherwise, in. NYC. Had my bday dinner there and it was a perfect venue. Even the meat eaters enjoyed! This is the Best Vegan Pizza! Always a wonderful experience with Julie and the outstanding staff. Can’t wait to return. Everything is always the highest quality and delicious! Best food in existence. The only thing that prevents us from eating here multiple times per week is price. Great vibe and really tasty vegan food. Loved that they put some thought into their list of wines by the glass. Not your usual NYC wine by the glass swill. The Cab/merlot blend was great! Will be back. The food was not tasty. The pizza was very salty and the crust was a bit burnt. Pizzas are amazing, great gluten free options. Knowledgable staff - need more waiters to support the communal tables. Very nice place for weekend Brunch. Lovely atmosphere, excellent food. Really recommend to all vegans and non-vegans. Delicious vegan food. Good service. Nice, quiet atmosphere on a Sunday afternoon. Would return. Great pizzas and salad. I have been here 4-5 times, but they never disappoint. The only problem is the noise level over the weekend, so I prefer going on weeknights. It was fun! And yummy. Love it here! I recommend it to everyone. It’s just small and I felt it this last visits. The waiter kept running into me from behind. I’m sure it’s very frustrating for them to move around with food. However, the food is outstanding & the service is always wonderful. The food was good, though the tomatoes on my pizza were cold. The service was very slow. It took over half an hour to get dessert and they ended up removing it from our check because it was taking so long. Delicious pizza, nice wine selection, good salad, skip dessert. Amazing from start to finish. It’s all plant based but that shouldn’t dissuade any omnivores from coming here. 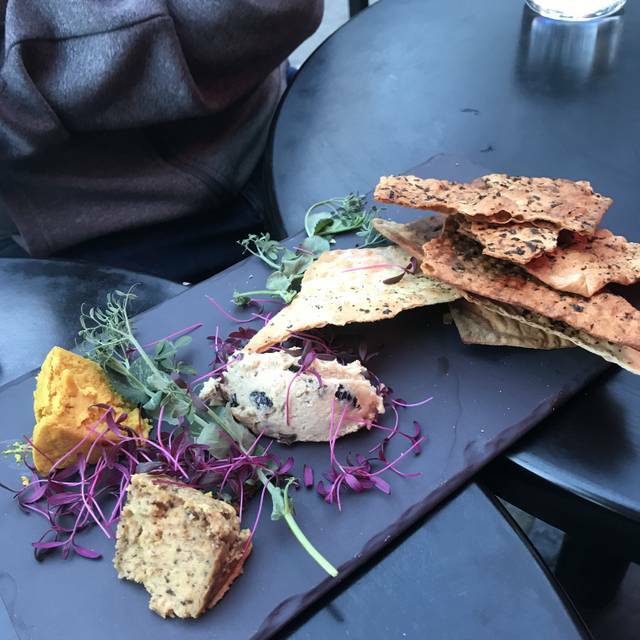 The wood-fires crust is on point, and the artisan nut-cheeses make this a real experience. It is leaps and bounds beyond any place that does “vegan pizza” with Daiya or something similar. Fantastic! Food was delicious. As always. Incredible food. 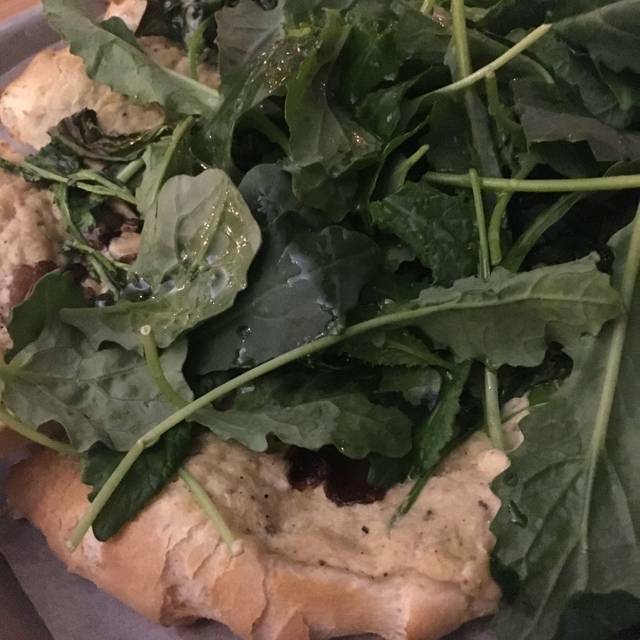 This is the best upscale vegan pizza in the city. If you’re not vegan, go there and be adventurous! It’s one of those rare places where everything on the menu is delicious. I love double zero! Always go there when I want pizza. Absolutely delicious pizza, period. Happens to be vegan, which is a major plus. Highly recommend it. Never disappoints. Great fun place to go with friends! Food is great, I recommend getting the pizza, and not the charcuterie board. Great wine list as well. Food was amazing. Service was great. Cute spot. Will definitely go back! Amazing vegan pizza. The antipasto salad was divine. We ordered the pizza of the day which was also amazing. Love this place!! Get the truffle,kale, cashew pizza you’ll thank me later. 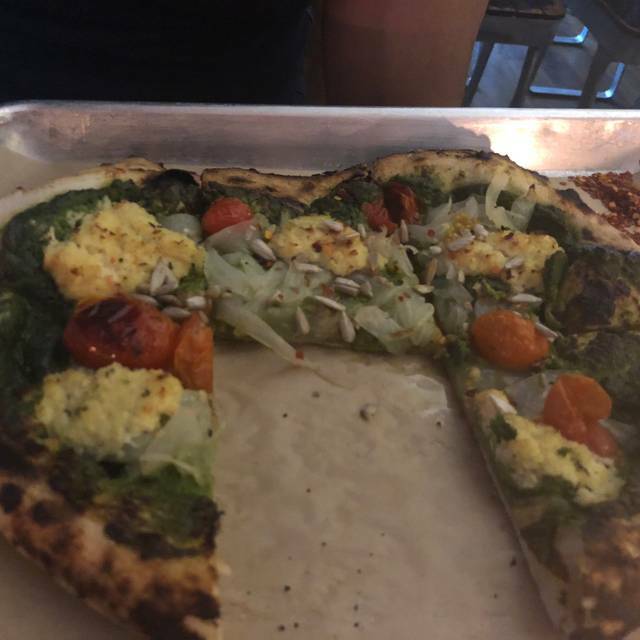 Delicious vegan pizza with unique, interesting toppings. Quite expensive for the amount you get though. 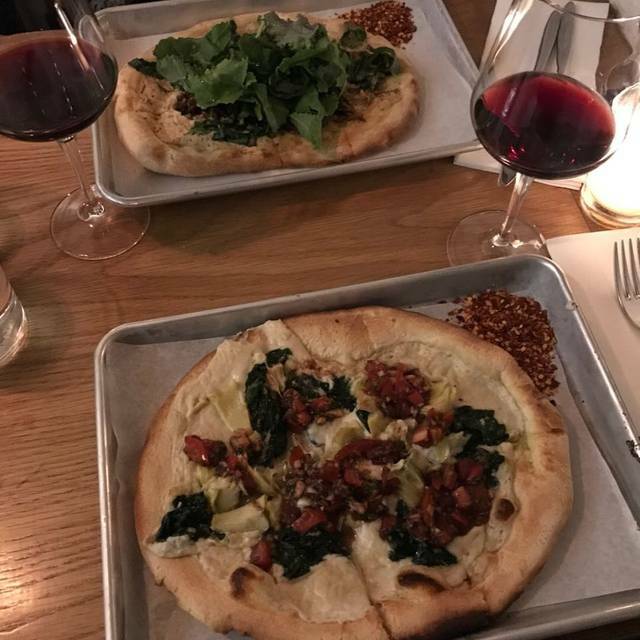 Last time I was in NYC two years ago, Double Zero was the best plant based pizza I've ever had. 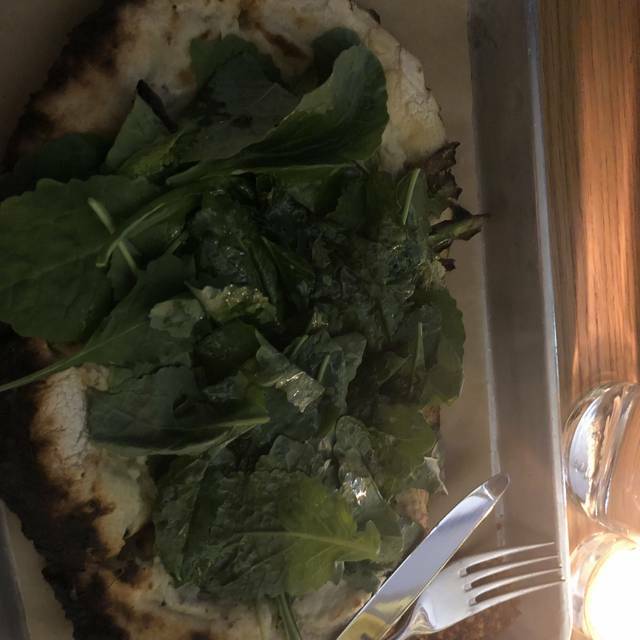 This time around, the pizza was overcooked, the dough was not the same beautiful fluffy experience I had before, the service has slipped and I was really disappointed. Had one of the most delicious pizzas (daily special) I had in a long time, vegan or not. Delicious and refreshing lemon/basil drink. Good cinnamon ice cream, ok minced roasted apple (didn't come hot, so ice cream didn't melt over it.) 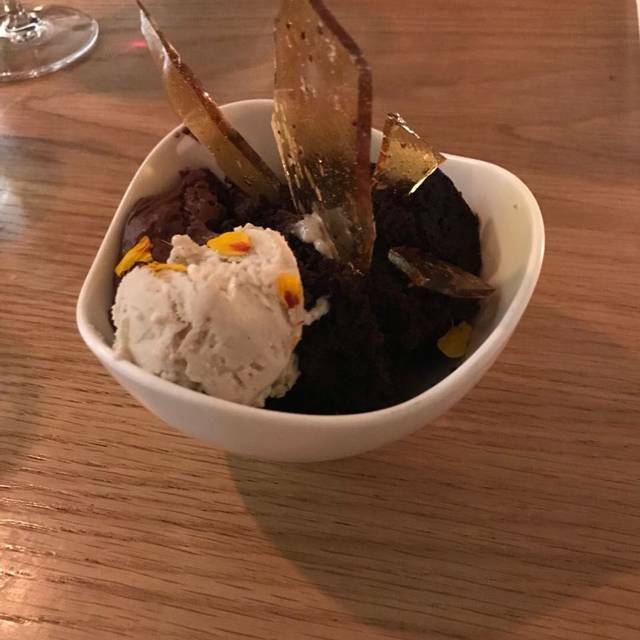 I understand they'll try to upgrade their desserts. I'm a returning customer and will continue to return. 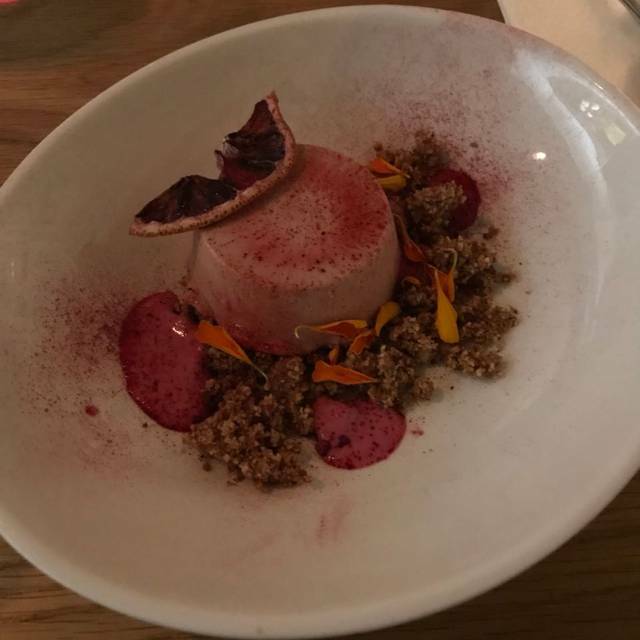 Thanks for a lovely restaurant! Double Zero is fantastic. I’ve been her a dozen plus times since it’s opened. I will continue to go as long as the food, service, and ambiance stay the same. Our 2nd time back for "the best pizza ever". Definitely not our last time. Much better service this time.